What are the best things about seeing JWU in person? 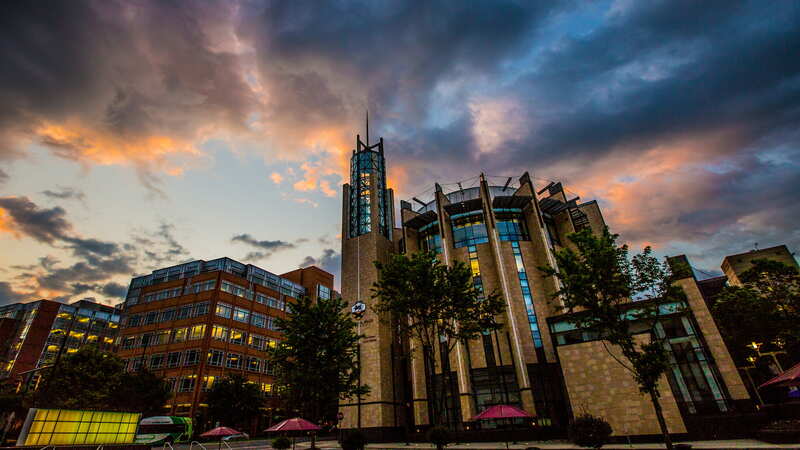 JWU Providence's Downcity Campus boasts a true campus feel while being directly located in downtown Providence. The Harborside Campus is also great with its more typical gated style campus and a beautiful water view. Taking in the beautiful scenery of Providence while walking through campus, being able to see Gaebe Commons in full-blown “Gaebe Beach” season during the spring, watching students meeting with their friends, and observing the campus in its everyday environment is great to see and get a feel for. It's also great to see the library, as well as classrooms and labs, where you would be spending a large amount of your time! You can see that being a small school gives us a chance to use diversity to our advantage in creating amazing organizations and clubs where students can feel welcome. There's the Robert E. Taylor Gates, and they have a great story that usually makes students laugh and you get to see why every calls us the Harry Potter campus. There's the Culinary and BPA labs in action. It's the coolest thing. Witnessing Coors beverage lab class is my favorite there and the BAP labs always come out and give snacks, so that's always an experience, along with the amazing sugar artwork in Room 100. And I feel like I'm biased on this one, but SBDC is my favorite place because there are lots of students with aspirations of owning a business or wanting to do consulting work, and I have a front-row seat to sit in on these meetings. Being a marketing major, this is my favorite place on campus. One of the best things about seeing JWU in person is meeting the great staff and faculty. You also have the opportunity to see and get a feel of the campus. This allows the students and families to get a more personalized experience of what it is like to be a student at JWU. Visiting the campus also reassures parents and their families about how safe our campus is. Being on the Charlotte campus, it’s the fact that you can actually see how we are in the heart of the city! As we’re walking out of the dorms, you can see that the Carolina Panthers stadium is literally in our backyard. Walking through the campus, you really get to see how hands-on JWU is. From culinary/BPA labs, to the fashion display lab, and the business innovation lab, prospective students are able to see that it’s never just a class or lecture hall, it's experience. What is the advantage of taking a college tour? If I had not taken a tour, my Admissions Officer, Lou Faria, may never have mentioned the Early Enrollment Program to me. I had never heard about the program before I checked out the Providence campus for a second time during my junior year of high school. I’m so grateful I took that second tour – or I may never have taken advantage of the Early Enrollment Program, where you essentially skip your senior year of high school and take college courses. College tours are an amazing opportunity to explore what your future could look like. Visiting the JWU campus is an exciting experience for anyone. When I visited the campus, I was able to get a look at the labs and see what I would be doing. Walking through campus I was able to see myself going to labs and living in the dorms. For both Culinary and Baking & Pastry prospective students, seeing current students in the labs is a valuable experience that is unique to JWU. As a tour guide, I get to show students what their lives could be like at JWU. I am also able to show them why I love Johnson & Wales. College tours enable prospective students to take an inside look at the campus. Tours, though having a basic structure, are tailored and adjusted to give a personalized experience for each student. Personal experiences are used to express details about the campus, give tips on college life, residential living and the overall college experience. Naturally, one takes advice and the word of someone who has experienced what they are about to go through, so taking college tours are as much for the student as they are to reassure parents and make them feel comfortable with the experience their son or daughter is about to have. 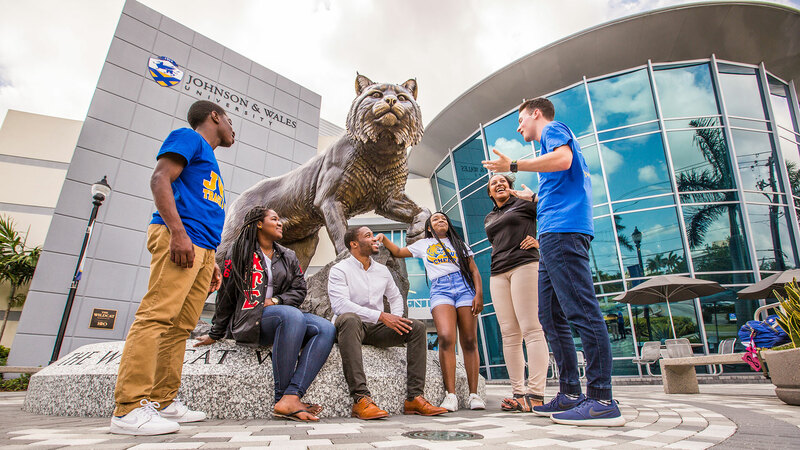 The best part about taking a campus tour is the ability to talk to students, listen to their experiences, take a look at a typical classroom, and see campus during its everyday hustle and bustle. All of this provides potential students with the opportunity to determine whether or not that school would be a place where they can grow and excel. When I was in the midst of my college search, I became stressed and frustrated because I didn't understand how I was supposed to choose a school and make such a large decision. My dad kept telling me that it’s like test driving a car. He was right. I definitely felt at home the second I stepped onto JWU’s campus, and my long search finally came to a close. What is your favorite aspect of being a tour guide? I absolutely love being able to talk to prospective students about my experiences here at JWU. Whether it’s about classes I have taken, projects I have worked on, clients I have worked with, clubs that I am involved in, my favorite dining options, or even my favorite restaurant in the area, I love being able to use my experiences to answer questions and help students find their new home away from home. My favorite aspect of being a tour guide is either knowing that someone is coming to the school because of the tour I gave or seeing someone I gave a tour on campus. My favorite aspect of being a tour guide was being the first impression of Johnson & Wales University for a family. I believe Maya Angelou was right when she said that people may not always remember what you said but they will remember how you made them feel. I take this to mean that as a tour guide I leave a piece of me with every tour I give. They get my experience and my excitement at being a part of the university. We’re open throughout the fall with daily tour options that suit your schedule. 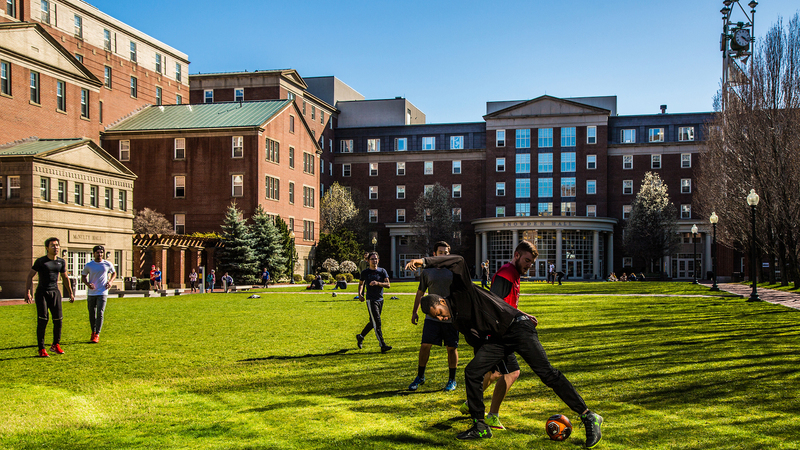 Find out what’s unique about JWU by joining one of our student guides to take a closer look at classrooms, labs, athletics, residence halls and dining options. You can also meet one-on-one with an admissions officer.